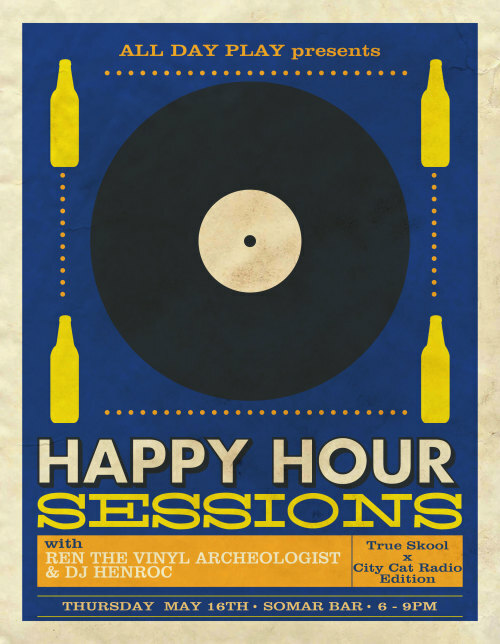 ADP Presents: Third Thursdays Happy Hour Sessions! Each session we have a different radio show’s DJs hold it down from 6:00-9:00 PM, and the good people of SomaR Bar donate 15% of the bar straight to AllDayPlay! As always, 21-and-over, no cover, and no dress code. So please…come celebrate the station with us, and party-tuff on a Thursday!